Festivities are right around the corner! 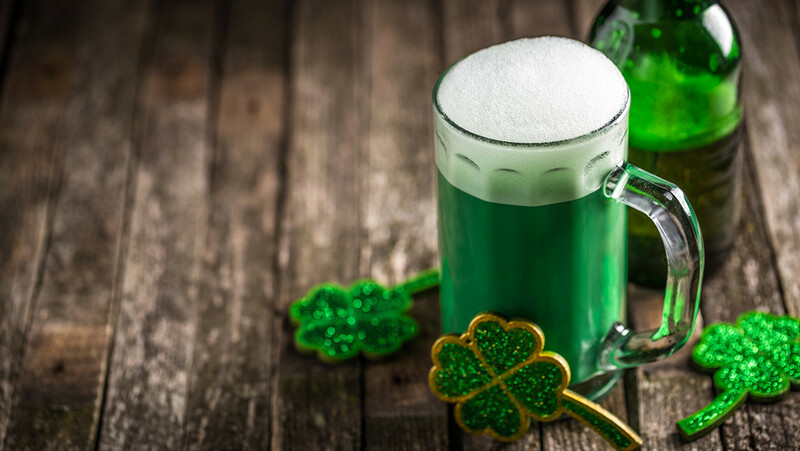 Parades, Irish costumes, corned beef and cabbage, and for some green beer, all tie into their celebrations. This holiday is becoming one of the nation’s most popular times to celebrate. Unfortunately, too many people are hitting the roads after a long night of drinking, making this weekend one of the most dangerous to be out on the road. In fact, did you know St.Patrick’s Day is one of the deadliest holidays across our nation? Over the span of 2012 to 2016, 269 lives were lost due to drunk driving accidents. And last year, drunk driving killed MORE than 10,000 people in our country, and yes, EVERY SINGLE ACCIDENT WAS PREVENTABLE! Without fail, about one-third of deaths in a car accident are due to someone making the selfish (and often deadly) choice to drink and then drive. It happens all the time despite the fact that it is ILLEGAL with a blood alcohol concentration of .08 or higher – and that an arrest could cost nearly $10,000 in attorney fees, courts, and other expenses. These facts make it clear that the luck of the Irish won’t get you home unharmed if you get behind the wheel after drinking. So be honest with yourself. If you are attending a party that involves alcohol—even if you don’t plan to drink—your safest plan is not to drive. Before celebrating, decide whether you’ll drink or you’ll drive. You CAN’T do both! If you do plan on driving, commit to staying sober. If you’ve been out drinking and get behind the wheel, you run the risk of not only crashing and but others’ lives at risk but also getting arrested. If someone had been drinking don’t let them get behind the wheel. If you see someone who appears to be driving under the influence, pull over to a safe location and call the police. Use a driving service instead: Lyft and Uber both have promotions going on this weekend that you can find here. Each and every year, we hear heartbreaking stories from families who have had loved ones involved in a drunk driving accident. And each story, we know that the lives of these Iowans could have been saved with a simple effort to not drive under the influence. With our efforts to make Iowa roadways safer, Iowa personal injury attorney Corey Walker has created a campaign called Iowa FADD (Families Against Drunk Driving) to help promote the importance of driving sober or finding other options to reduce the fatality rates caused by drunk drivers. If you would like to receive a FREE cell phone wallet, click on the wallet below and fill out a form or call Marie at 641-792-3595.